Platform(s): Compatible with iPhone 3GS, iPhone 4, iPhone 4S, iPod touch (3rd generation), iPod touch (4th generation) and iPad.Requires iOS 5.1 or later. Don't just read this comic - hear it! 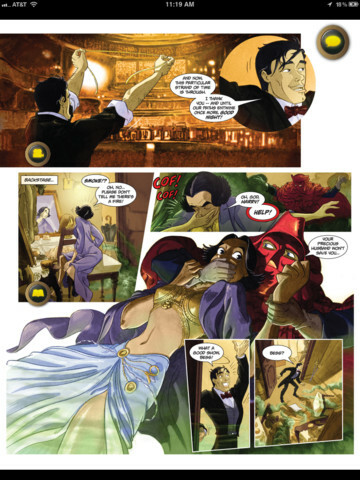 Rok Comics is proud to present the audio-enhanced adventures of the world's best-known escape artist Houdini, featuring a full soundtrack that brings the story added life and excitement! 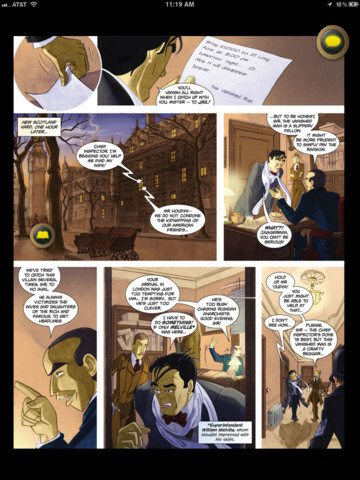 Terror stalks the streets of Victorian London as a masked villain known as the Vanished Man kidnaps the partners of the rich and famous for huge ransoms! But has he bitten off more than he can chew when he snatches Houdini's wife, Bess, from the dressing room of the Alhambra Theatre? Join Houdini and the best of Scotland Yard as he races to catch his dangerous foe before he harms his much-loved wife – and discover a deeper mystery behind the first! 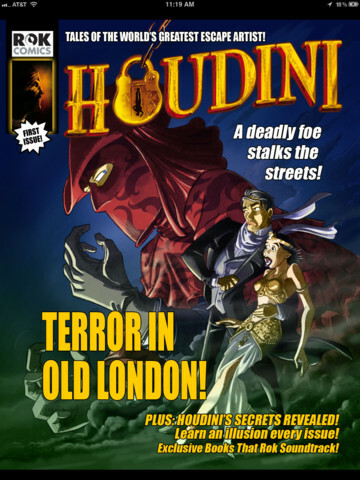 Houdini: The Mists of London is a Rok Comcs production with art by Rafael Broseta and David Belmonte, backed by a full voice cast and soundtrack! Looks great! I'll give this a shout-out on my Houdini blog. Thanks.